Hello everyone! SO glad it's Thursday but I will be even happier when it's finally FRIDAY! Lol!! It has been a really long week for some reason! But time is counting down and I am trying to take it one day at a time! Are you all ready for the weekend, too? I had to dig out my heavy winter coat yesterday. Ugh! It was so windy and so cold! Yuck! It's not much warmer right now but at least the wind isn't blowing! 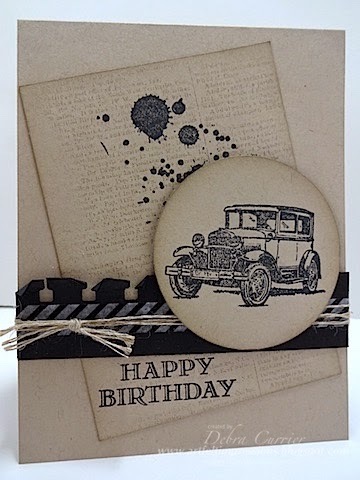 Today's card is another we did at stamp club this month. It was inspired by the sketch at Freshly Made. I really like the way this one turned out! And it was the first time that I had used this fabulous set! 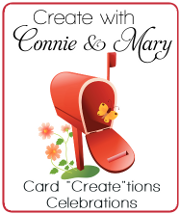 I just want to remind you all about the Create with Connie and Mary Cards "Create"tions Celebration edition going on right now! We are well into week 2 and it is so much fun! You can find more information on their website! I hope to see you there! Thanks for stopping by and have a fabulous day! Cute ans simple birthday wishes greeting. Amazing and really love this card. I wish you a very very Happy Birthday to you and Birthday Wishes fill the life with joy and blessings.